More than 40.000 white polyurethane strings. 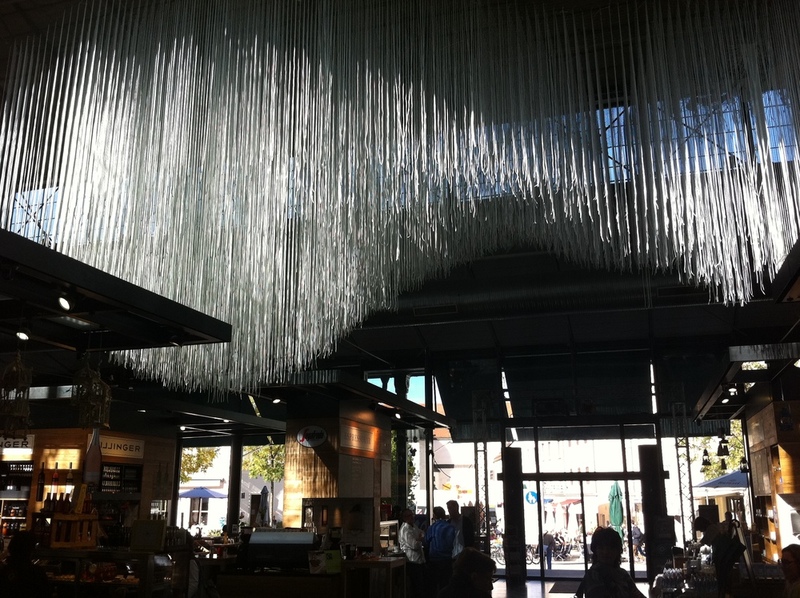 The installation CLOUDS was first exhibited in the Munich Schrannenhalle, adjactent to the Viktualienmarkt in 2012. It was then again implementend for 4 weeks in 2014 in a Church, also near Viktualienmarkt. 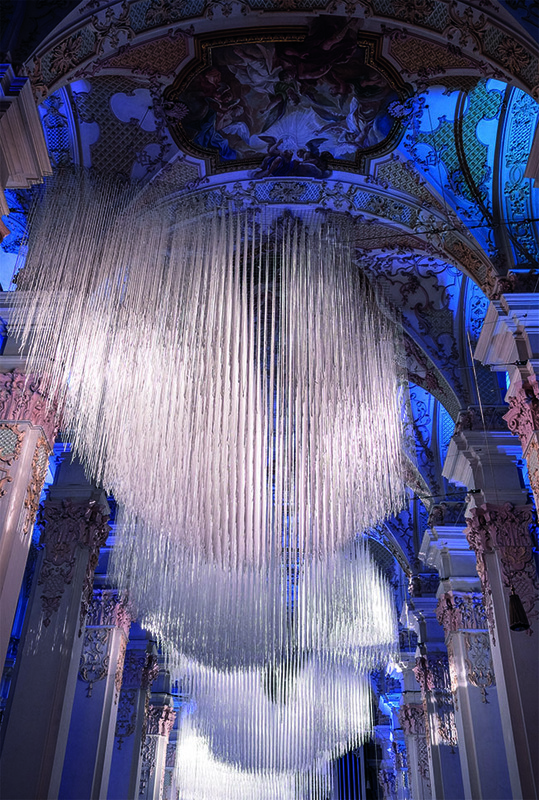 CLOUDS -a surreal scene, a gigantic virtual representation of the sky, of the heavens, is projected into the void of the ceiling vaults. The use of video beamers, sound effects, LED´s and more than 20.000 strings of specially produced cords create a magical atmosphere of colour, light and sound. The cords were specially made by a small rope factory near Leipzig. 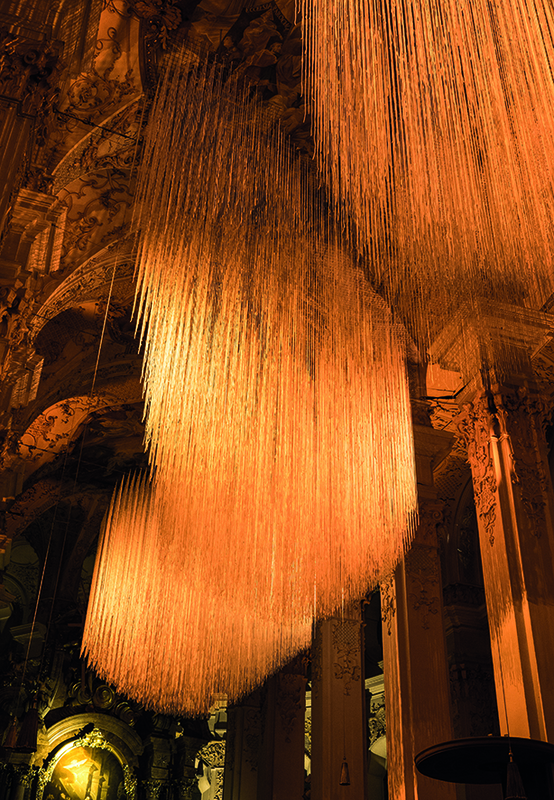 This installation with its simple components is a unique art and multimedia experience.- combining local sounds, voices and music composed by DIGITAL HAZE, together with 47,000 metres of white polyurethane strings attached invisibly to the ceiling forming sculptural shapes of clouds into the space. The whole space is transformed with different, smoothly variing colours and sounds, creating special atmospherical settings such as a dark night with thunder and lightning, a fiery red sunset or maybe burning clouds, a radiant blue sky or a sunny summer day. 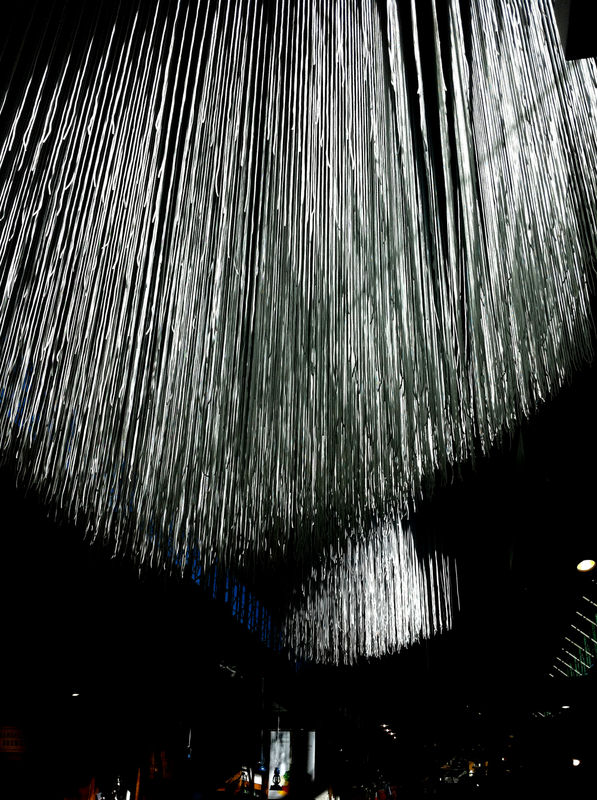 The visitor is completly part of this oversized multimedia sculpture that creates a parallel universe of its own.